One of the reasons I have been away for so long is because my husband and I were on vacation mode having the best time in Colombia. We always have such a great time when we visit, spending time with family, traveling to the small towns around the city, and of course, eating all kinds of delicious food. This time we went a few times to Laureles, which is one of those neighborhoods in Medellín that I love to walk around. I don’t know what I like about it so much, but I find it extremely peaceful and lively at the same time. I also love it because it was great places to eat and this time we had ended up visiting several sweet shops where I had all kinds of good stuff like salpicón (Colombian fruit cocktail), chocolate brownies with vanilla ice cream and delicious fruit salads. 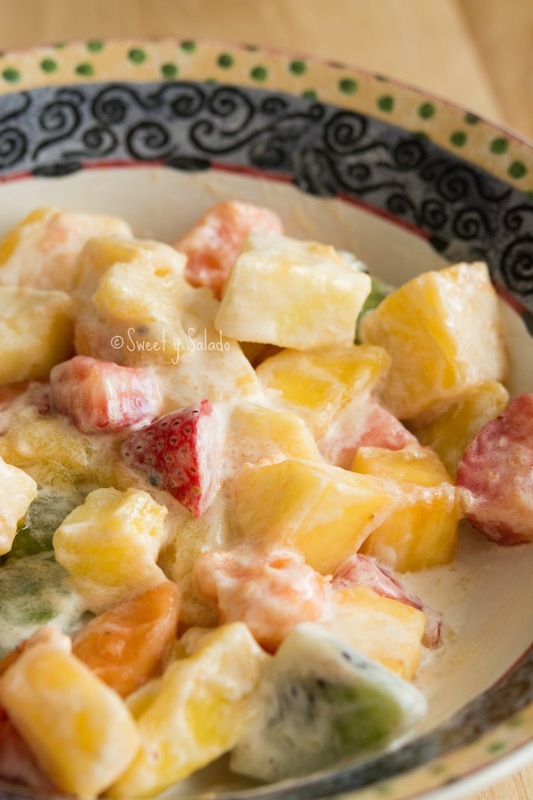 I remember that one day I kept looking at my fruit salad thinking “Why am I paying for a fruit salad that I can easily make at home?” I stared at it upside down, side to side, looked at every piece of fruit, the consistency of the sauce and thought, “Yep, I’m definitely making this at home and putting up the recipe on the blog”. And so, here it is! It’s so easy and delicious that I’m pretty sure you will be making this every chance you get. 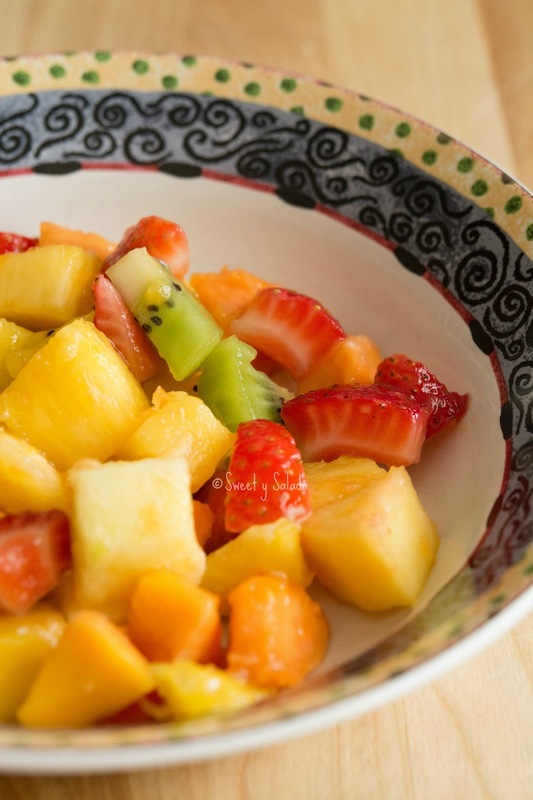 Mix the chopped fruit in a medium sized bowl. 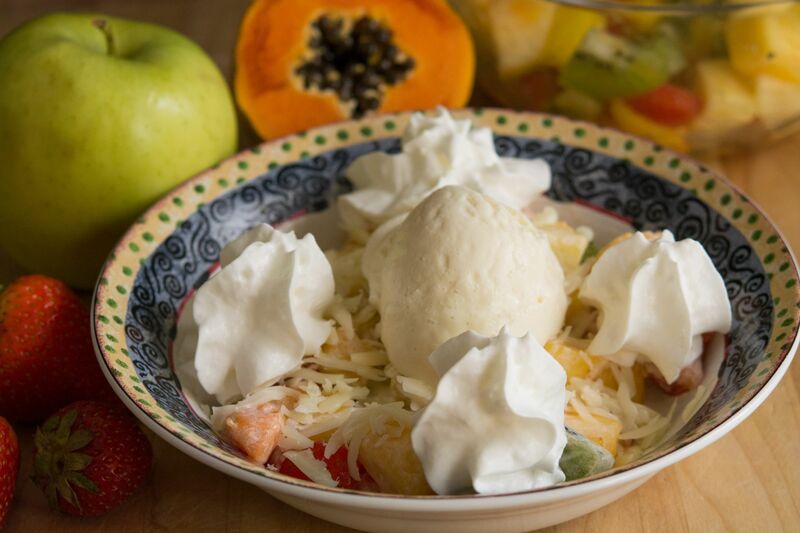 To serve, place 3/4 - 1 cup of chopped fruit in a small bowl. Add the heavy cream and mix well. 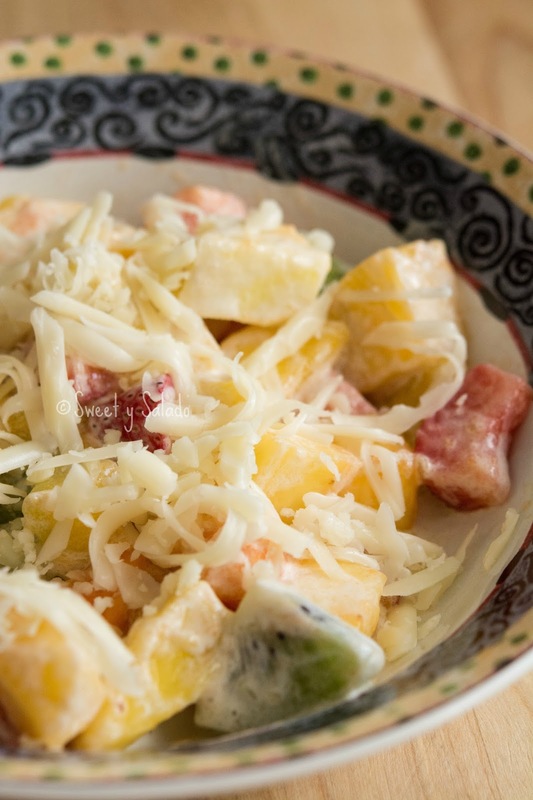 Sprinkle with half the amount of mozzarella cheese. Decorate with as much whipped cream as you want and place 1-2 scoops of ice cream on top. 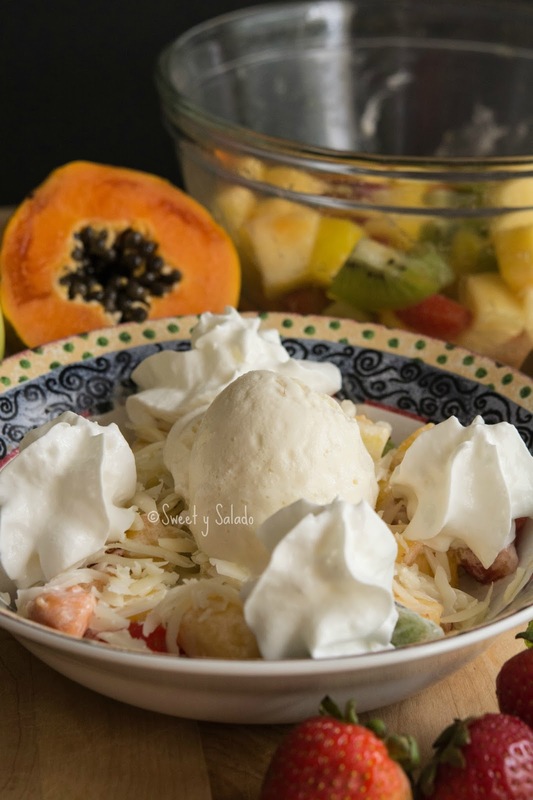 If you want, you can also add a little bit of sweetened condensed milk on top.